Magnum is both a bicycle stand and a pump. 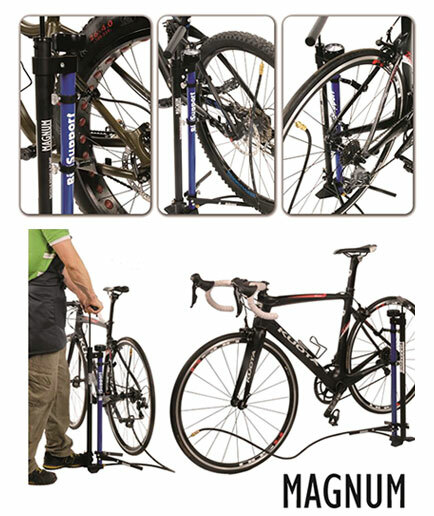 The high pressure pump helps you with air inflation and the stand helps you to fix the bicycle in a perfect way on the floor. It has maximum stability, is portable and is a folding stand with small encumbrance. Magnum is equipped with two hooks to support the bicycle. 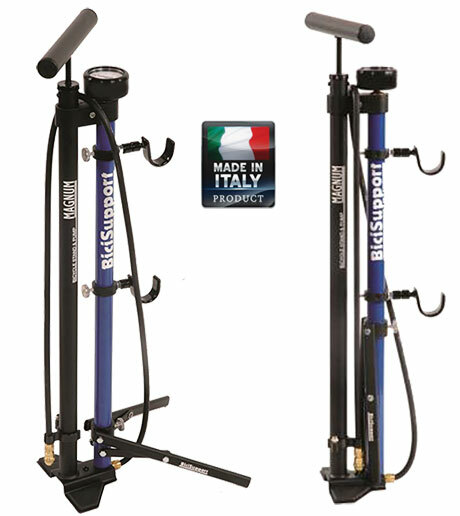 The extra long rubber high pressure tube allows you to easily pump both your rear and also front wheels. Works with Presta, Schrader and Dunlop valves.